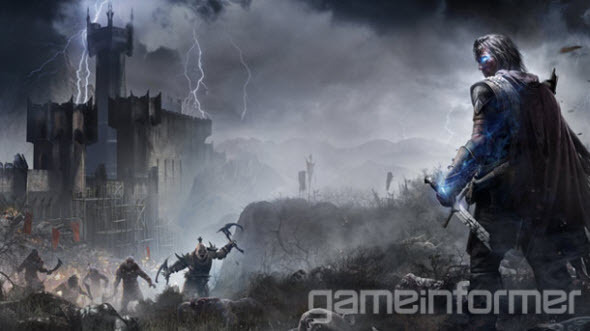 Middle-earth: Shadow of Mordor game will be a third-person action that is under development for PC, current and next generations of consoles now. It will be based on the dark and unique story that has never been presented in the Tolkien's books. The story of the project will tell us about the events happened between the plot of The Hobbit and the first part of The Lord of the Rings. However, both the Rings of Power and the Tolkien's atmosphere will be presented in the game. In Middle-earth: Shadow of Mordor game you will take a role of Talion - a ranger whose family was murdered by Sauron's army. He is going to revenge, and he will meet lots of enemies on his way for vengeance. But the most interesting thing about the future project is Nemesis System that was also announced yesterday. This feature will analyze your actions and choices and will change the game according to them. Moreover, these adaptations will be presented even after your character's death.